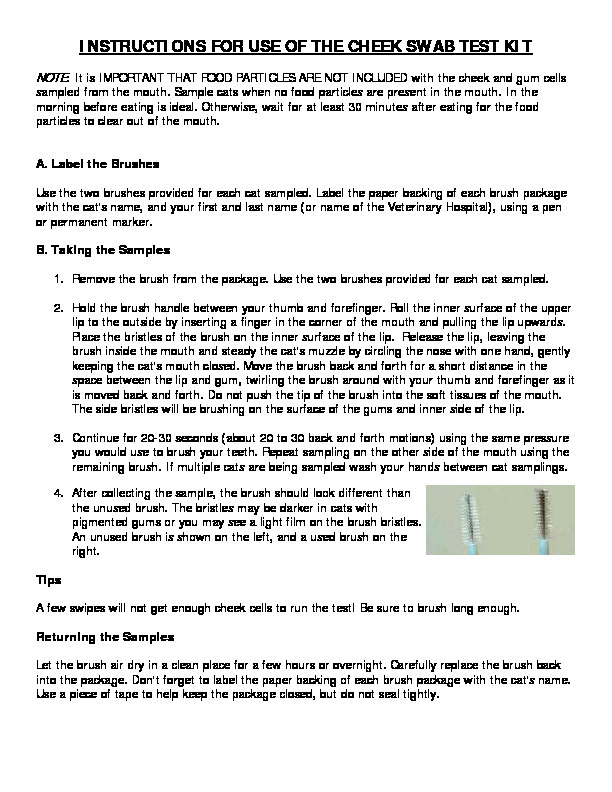 Please fill out the swab kit request form below the instruction forms to request cheek swabs to be mailed to you for genetic testing. Payment can be made after receiving the swab kit and mailed back in with your pet’s swabs and completed submission form. 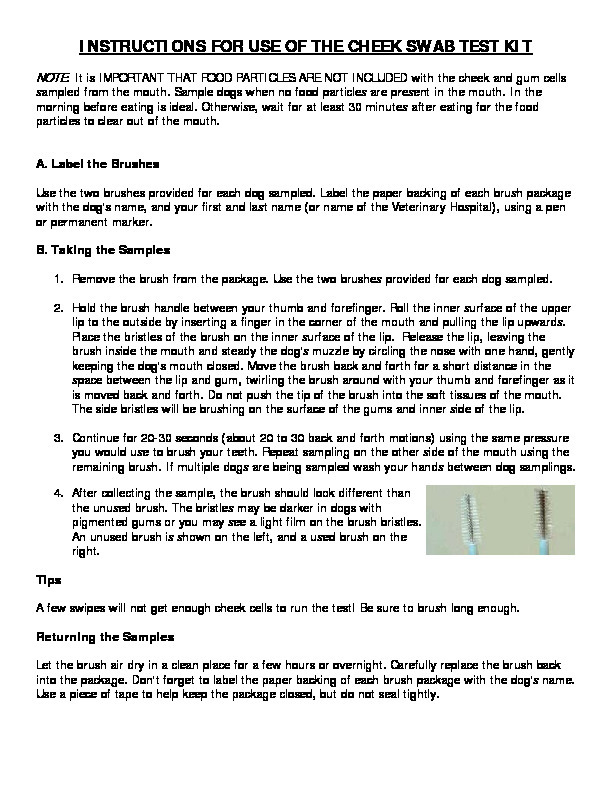 Reminder: If submitting cheek swabs, swabs should not be submitted from puppies until they have been weaned. Taking a DNA sample from a puppy’s mouth prior to weaning could produce inaccurate results due to contamination from the mother’s milk.